WASHINGTON, D.C (WPVI) -- Stand Up To Cancer (SU2C) has awarded $7.5 million in grants to 10 young scientists, 3 of them from Philadelphia. All of the grants are going toward projects aimed at using the body's own immune system to fight cancer. 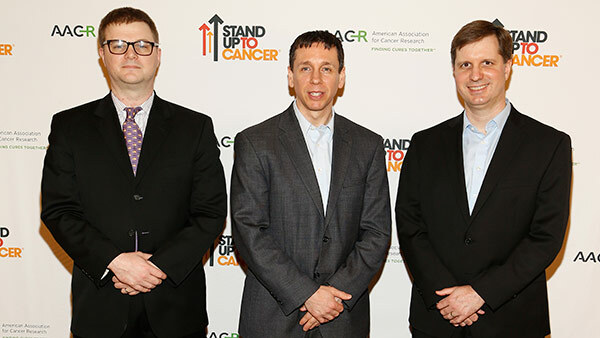 The grants were announced at the 2017 meeting of the American Association for Cancer Research, which is SU2C's Scientific Partner. The Innovative Research Grants are funded by a grant from Bristol-Myers Squibb Company. * David M. Barrett, M.D., Ph.D., Department of Blood and Marrow Transplant, Children's Hospital of Philadelphia. His research is aimed at leukemia patients whose T (disease fighting) cells can't currently be used in the very successful CAR T cell therapy, because they don't function well. Dr. Barrett is developing methods to rescue the function of the T cells, by reversing metabolic problems. He is also investigating ways to maintain T cell function through chemotherapy. * Gregory L. Beatty, M.D., Ph.D., Department of Medicine, University of Pennsylvania. Dr. Beatty is focused on stopping the pattern of a variety of cancers to spread to the liver. His project is aimed at understanding this process, and testing his theory that the immune system of the liver can be adjusted to support or suppress anti-tumor immunity. * Michael Farwell, M.D., Department of Radiology, University of Pennsylvania. Dr. Farwell's project is on imaging the success of T cells given a boost in the CAR T cell therapy. Current methods don't allow direct assessments. Dr. Farwell wants to develop a new radiotracer with a "suicide gene" to monitor the CAR T cell progress, and allow destruction of the engineered T cells if they malfunction.